For some, the weekend is a sacred retreat from the hustle and bustle of our busy work lives. Judging from the various ways highly successful people spend their (at least theoretical) time away from work, we can conclude that there really is no right or wrong way to structure your weekends — it’s all about striking the right balance for you. 1. Describe your ideal weekend or “unwind” day. Are you able to do it on a regular basis? 2. Here’s how some super-successful people spend their weekends. What do you think? 1. 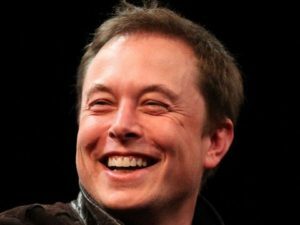 Elon Musk (Tesla) – hangs out with his 5 sons but occasionally sends email when he’s not directly interacting with them. 2. Jack Dorsey (Twitter) – spends Saturdays for hiking and Sundays for reflection, feedback and getting ready for the coming week. 3. Rachel Maddow (political analyst) – ditches her Manhattan apartment and spends her weekends in the countryside for a much needed mental reset.